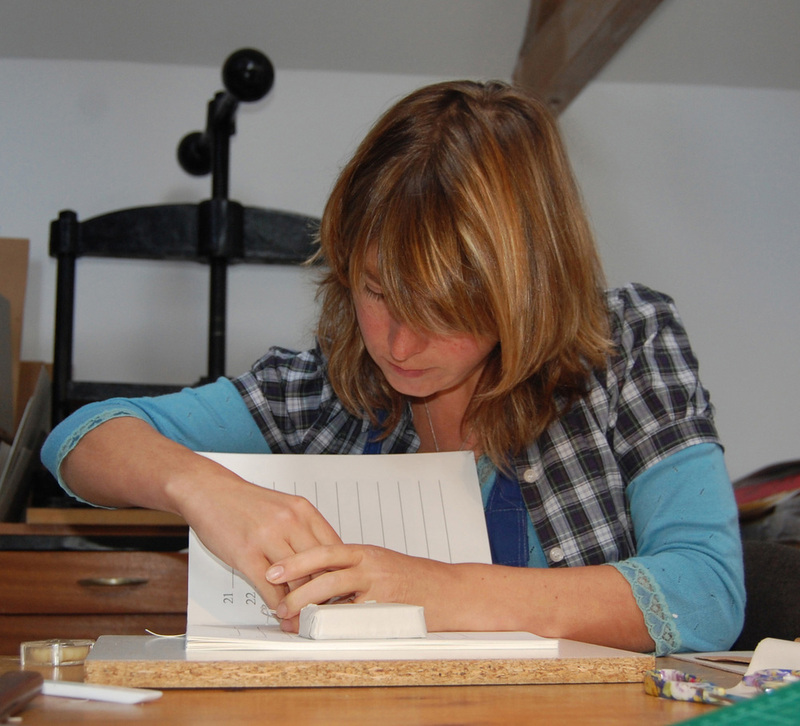 Kate is a multi award winning bookbinder, specialising in contemporary fine bindings to commission or for exhibition. She uses traditional materials and techniques to produce a unique, modern binding that reflects the text, illustrations and typeface of the book. She also works with individuals and private presses to produce the whole book, whether one offs or limited editions. She can advise on all aspects of book production from printing, through layout, to binding and boxes. She is a Fellow of Designer Bookbinders, one of the foremost societies dedicated to the craft of fine bookbinding. She has books in the British, Bodleian and Yale University Libraries as well as many public and private collections internationally. She welcomes commissions and invitations to exhibit or teach.